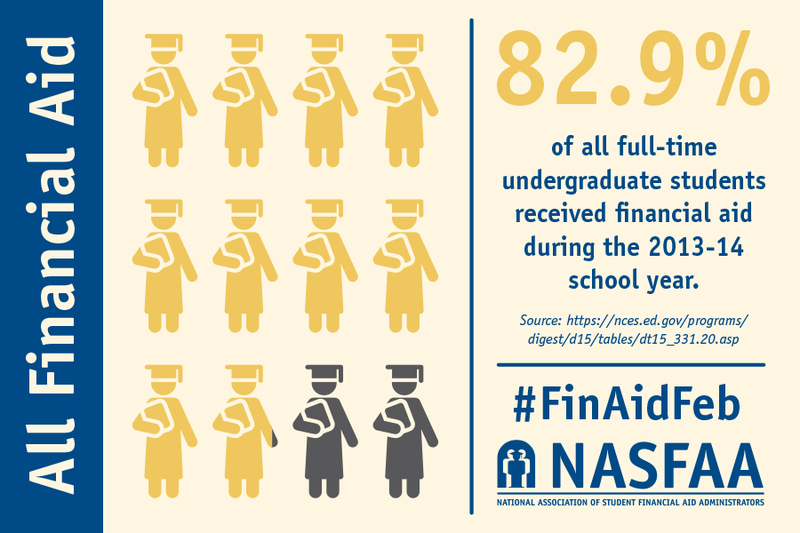 NASFAA relies on advocates to amplify our "Fight for Financial Aid" campaign. This page includes a variety of tools and resources for advocates interested in joining the fight. Have ideas or suggestions? Let us know - email us policy@nasfaa.org. Budget Effect Estimator (BEE) Tool - NASFAA developed this budget estimator to illustrate what cuts in President Trump's proposed budget will mean for students at colleges nationwide. 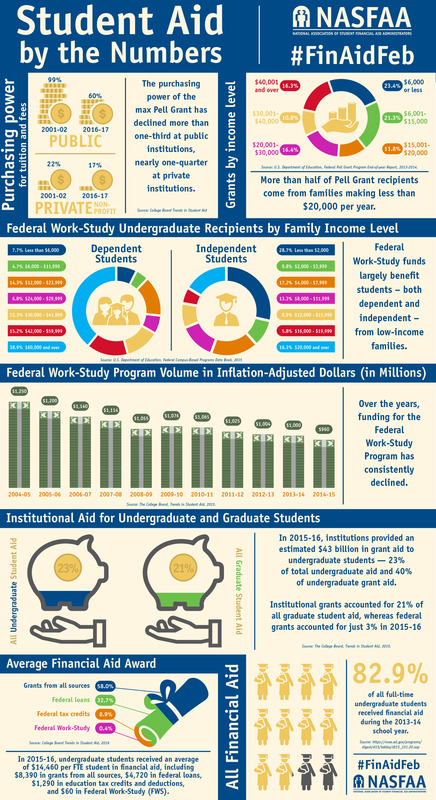 Trump Budget Fact Sheet - This PDF provides an overview of President Trump's proposed cuts to student aid in his fiscal year (FY) 2018 budget, which affects award year 2018-19. Student Aid Success Stories - To celebrate our 50th anniversary, we asked our members to submit their students’ Student Aid Success Stories. 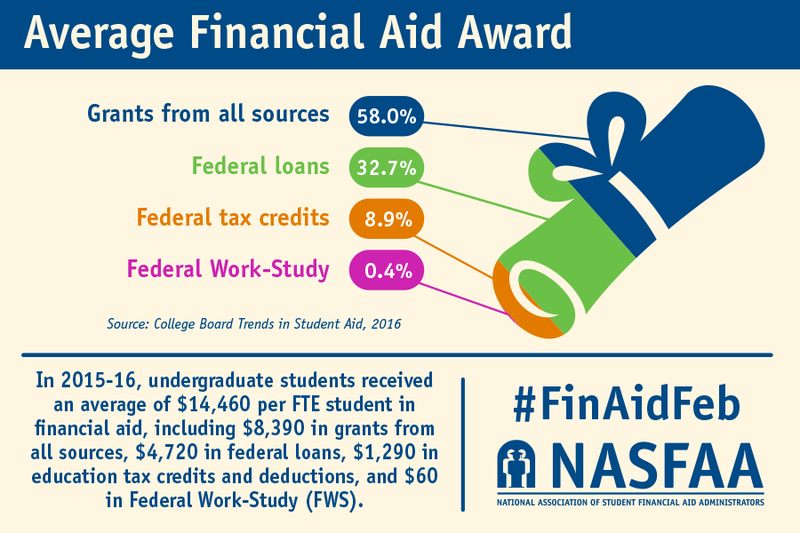 The stories that follow show the enduring value of financial aid for college & the role it plays in helping people achieve their goals. Fight for Financial Aid Organizing Guide - In this guide, you will find information on how to make your voice heard in the Fight for Financial Aid. Holding an Effective Rally in Support of Student Aid - This how-to guide includes tips for organizing a rally, and for getting media coverage for an event. "Why I Fight" Sign Template - Use this printable sign to tell your friends and colleagues why you #Fight4FinAid on social media. 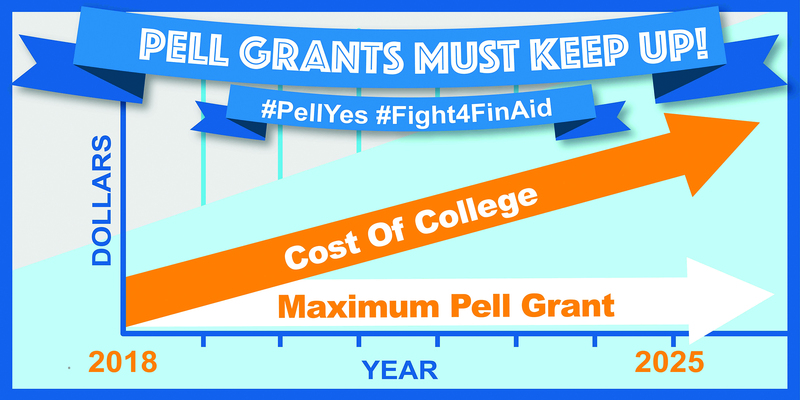 Video: Save the Pell Grant Reserve Fund - Watch & share this video for more information on the importance of the Pell Grant reserve funds, and how you can join the Fight for Financial Aid. 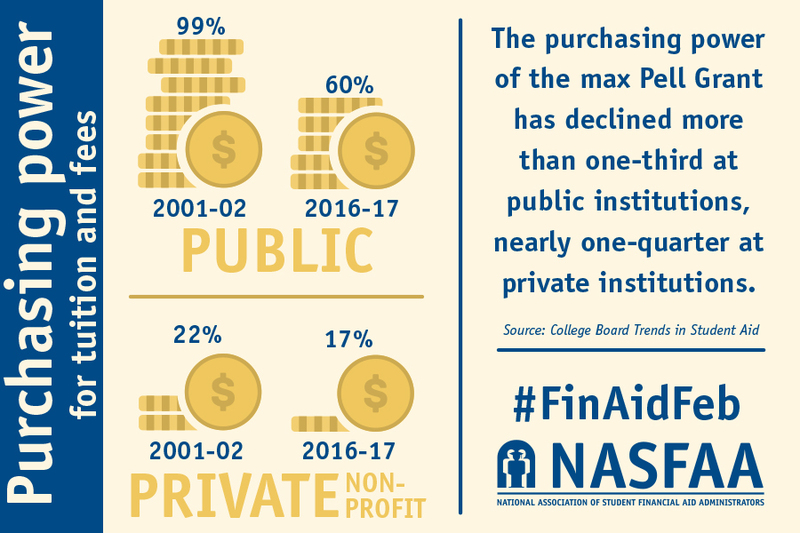 Twitter - Join in the conversation using #Fight4FinAid. 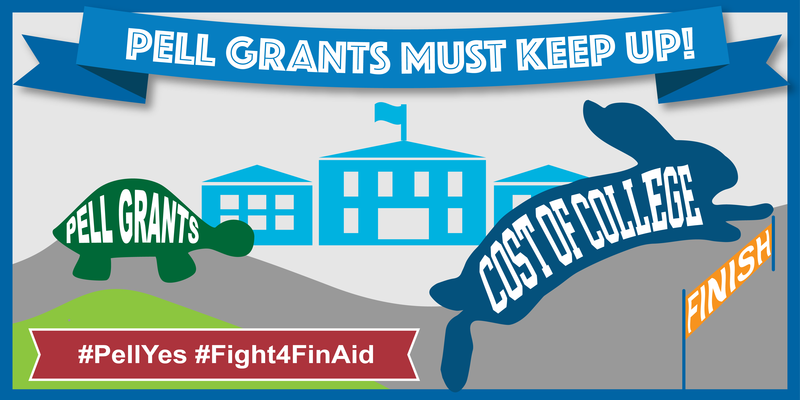 Facebook - Like the #Fight4FinAid page and share news with your friends. 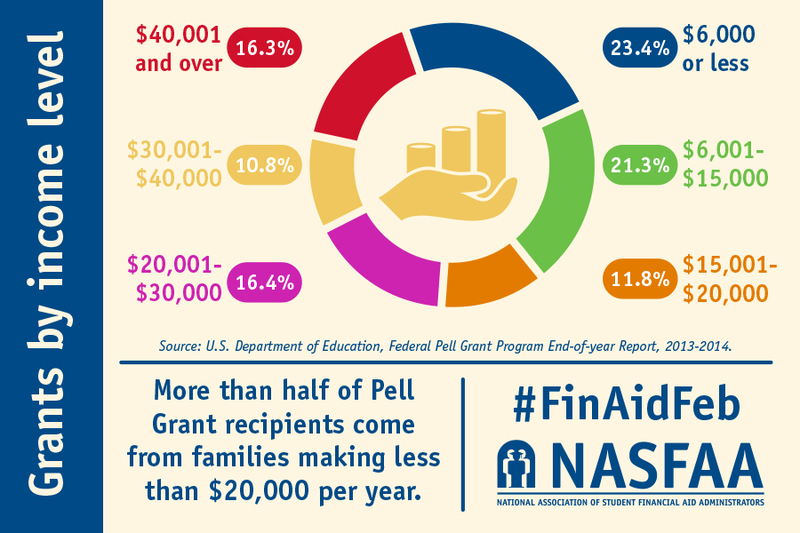 Compiled as part of Financial Aid Awareness Month, these infographics tell an important story about the current state of the federal student aid programs and why increased investements in student aid can make a difference.